Remove just Two Matches to Fix the Equation. 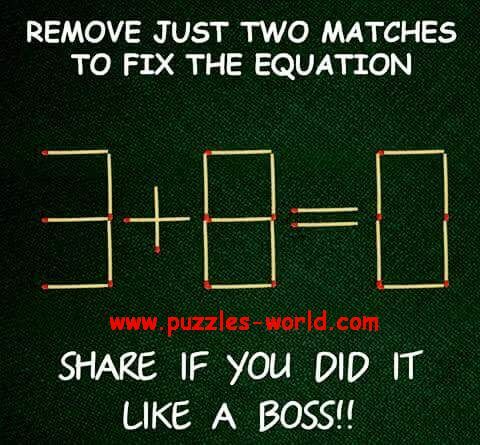 Remove 2 match sticks to fix the Equation. Share if you did it like a Boss ! !